HELLO sunshine! 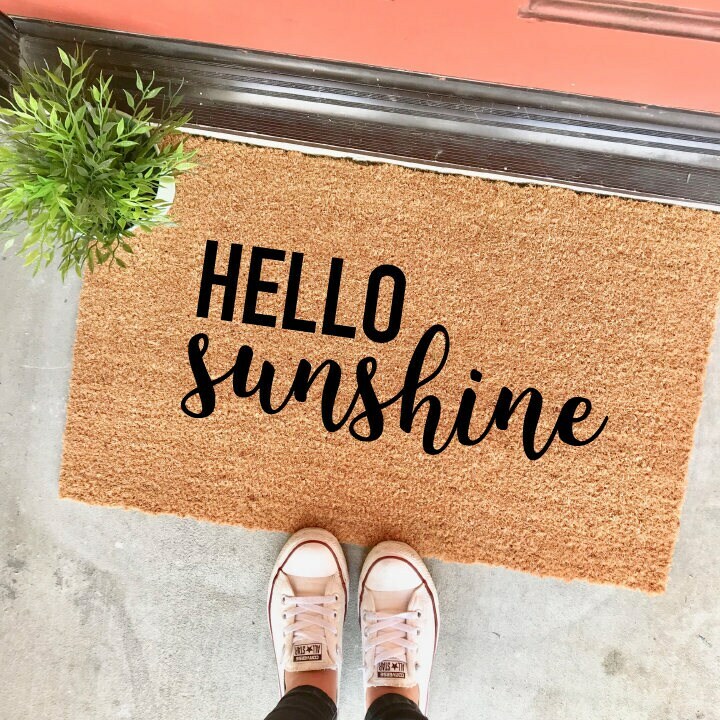 This sweet little mat will be sure to brighten your day every time you walk over it. 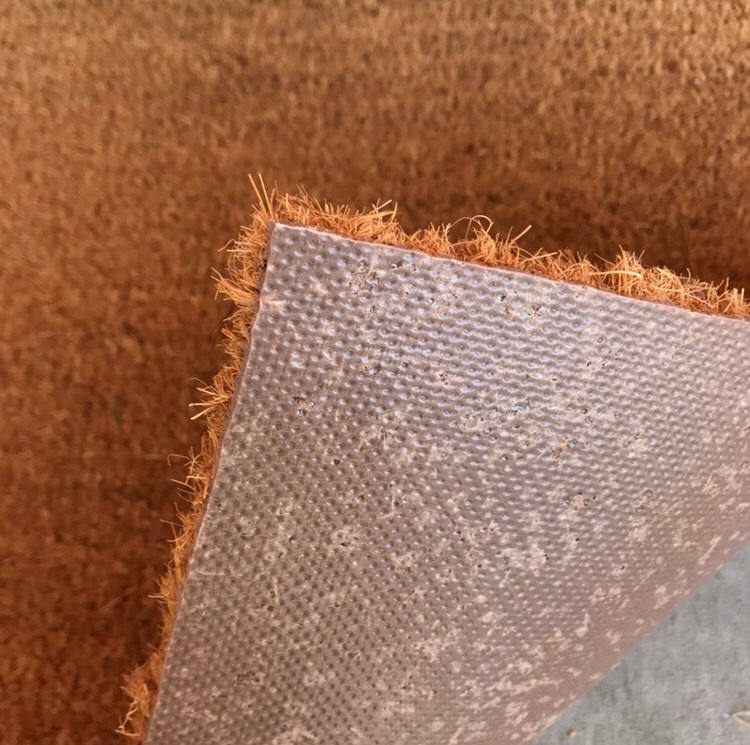 This mat was super cut when I got it but just doesn’t work for a humid climate I think Do not use this outside (even in covered area unless you can guarantee it won’t get wet ) if you buy this. I put it outside under my awning and after it rained one time one side got wet and now it is ruined. When it gets wet there is nowhere for the water to go so it just sits at the bottom of the fibers. I tried drying it in the sun but didn’t work. Also the half that got wet is now almost black in color (looks wet) even though it is completely dry. so cute!!! love this and looks so nice in front of our house! Fast turnaround/exactly as in image. Easy transaction. Thank you!